Okay...let's be honest. Any one else ever eat peanut butter like it's ice cream? Well, I have. I love peanut butter! BUT, eating a jar of peanut butter everyday will pack on the pounds faster than you can take the creamy (or chunky) stuff down. 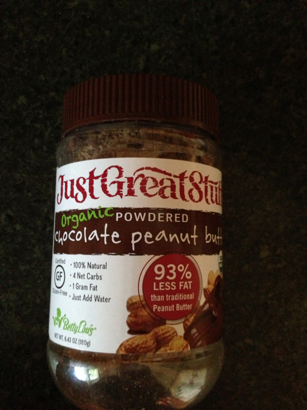 There is a delicious solution: powdered peanut butter! Before you judge, try it. In 2 tablespoons (mixed with 1 tbsp water) it has between 40-50 calories as compared to 200 calories in normal peanut butter! AND you can get it in chocolate! You can find this awesome stuff in the health food section of most grocery stores. Eat it with a spoon, frost a cupcake with it, or make a 100 calorie snack by putting it on a rice cake (I recommend the caramel kind as a super tarty treat). Need a little running/walking motivation? I don’t know what I would do without my Nike Running App…it tells me how fast I’m going, how far I’ve gone, calculates my calories burned and even gives me a little verbal high five at the end of my run from awesome athletes. Plus, it’s FREE! 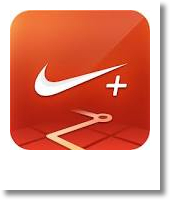 So I definitely recommend it for anyone who runs or walks for exercise. If you are like me, I tend to overestimate how far a mile, or half a mile or quarter of a mile is, so this app tells me exactly so I am not cheating myself. It also serves to speed me up when I’m dragging and slow me down when I’m a bit over ambitious. Check it out…it’s a great one! I’m loving it…hope you do too! This is a STAPLE in my house. In fact, I will somewhat embarrassingly admit that I will sometimes eat this exact meal for breakfast, lunch and then dinner…it’s so good and protein, veggie and whole grain packed I just can’t get over it. 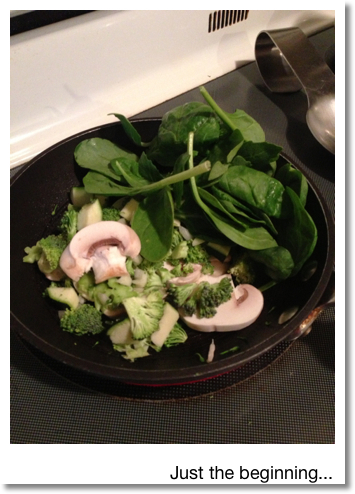 This meal rocks my socks off and gets me ready for the day AND helps me recover after my morning workout. It packs 24 grams of protein, 47 good for you carbs, 14 grams of fat to keep you full and only 389 calories. It’s a ton of food…enjoy! Have a quickie during lunch today! A 30-minute, do anywhere, quickie WORKOUT! It's Tabata Tuesday, folks, so get ready to burn, sweat and breathe (that IS why we all workout, right?!). Since there are mostly two exercises per Tabata, do the first exercise on the first, third, fifth and seventh 20 second work period and the second exercise on the second, fourth, sixth and eighth. Not familiar with Tabata style workouts? Click here for more information. And remember to take precautions when working out in the heat (I had the sweatiest run of the year this morning.) Find out how to protect yourself from the heat by clicking here. It's June...and it's going to start getting toasty. It's been pretty cool here in the mid-west thus far, but you know how it gets...hot hot hot!